As some of you may know, my mom’s parents were from Ireland. 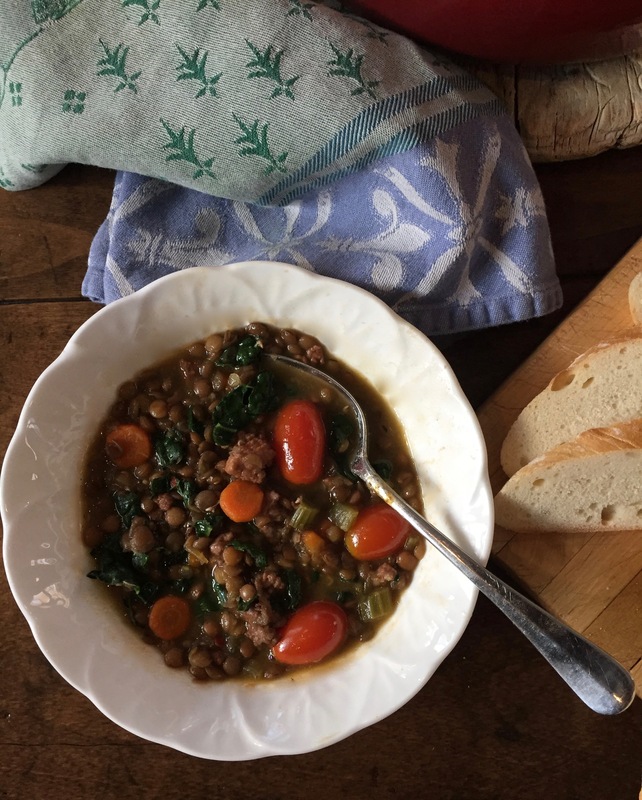 Nanny was a wonderful home cook, bringing her Irish food traditions from Belfast to Brooklyn where her Italian, German, and Jewish neighbors influenced her cooking in America. 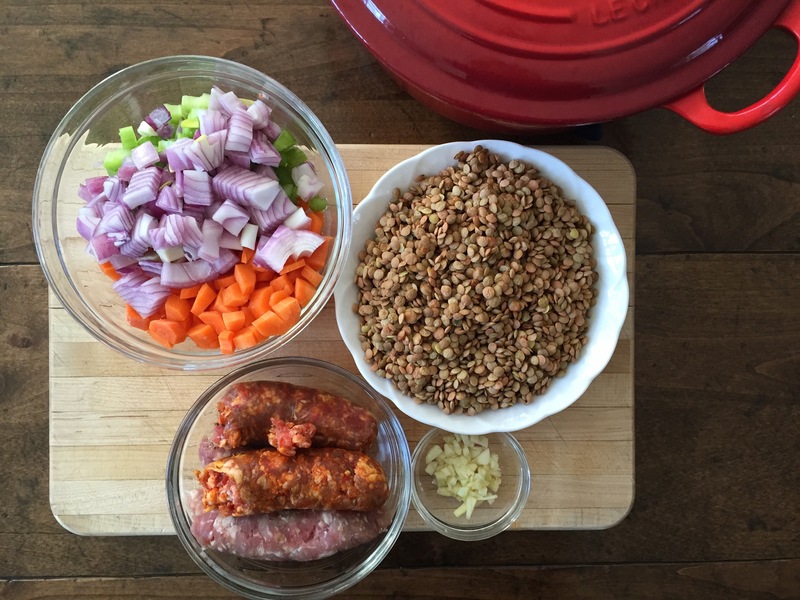 But Nanny wasn’t the only one to bring Irish food traditions, my grandfather ruled the kitchen on weekend mornings. According to my mom, Saturday mornings would be met with plenty of hot tea, eggs, bacon (or ham or sausages), potato farls, and soda bread. My grandfather would fry bacon, set it aside, then in the same pan, immediately fry the eggs in the bacon fat. From there, in went slices of plain soda bread, fried quickly on both sides until lightly brown. Can you imagine? Heaven!!! 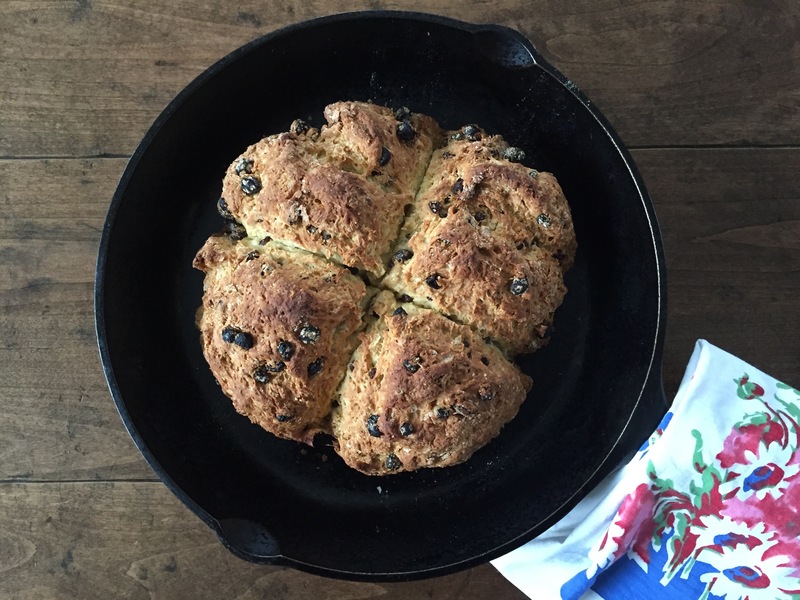 Unfortunately, my grandfather died before I was born, but I still grew up enjoying his Irish Soda Bread, first made by my mother, and now my dad. 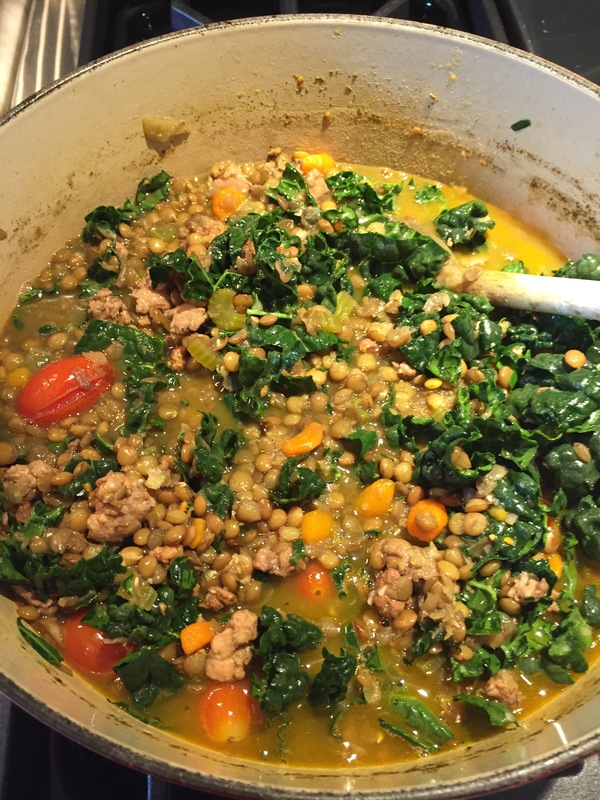 My father has tweaked the recipe over the years, as I’m sure my grandfather had tweaked his own recipe. 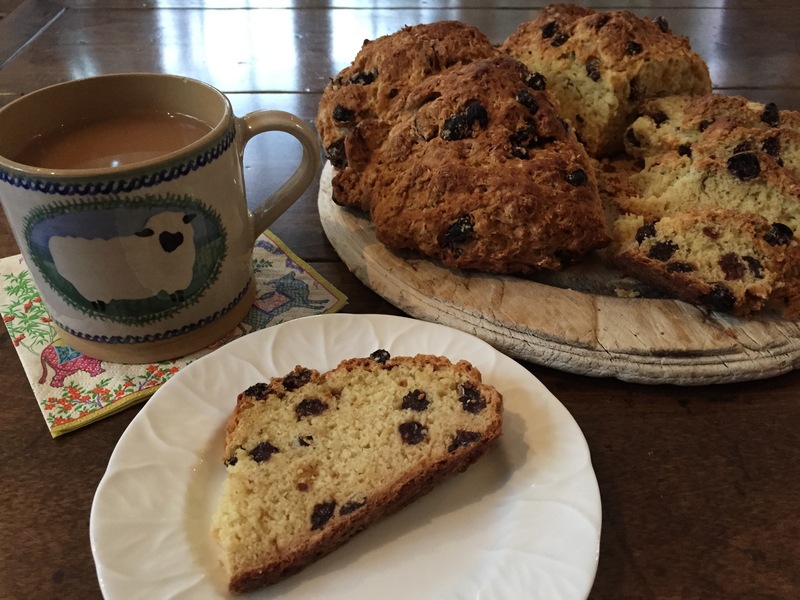 My guess is that if you ask 10 different people how they make Irish soda bread you will get 10 different recipes. What is generally accepted throughout is a combination of flour, salt, baking soda, and buttermilk. The baking soda and buttermilk give this quick bread its rise. Another common practice is cutting a cross deep on top. Tradition states that the cross is to let the devil out and ward off evil. 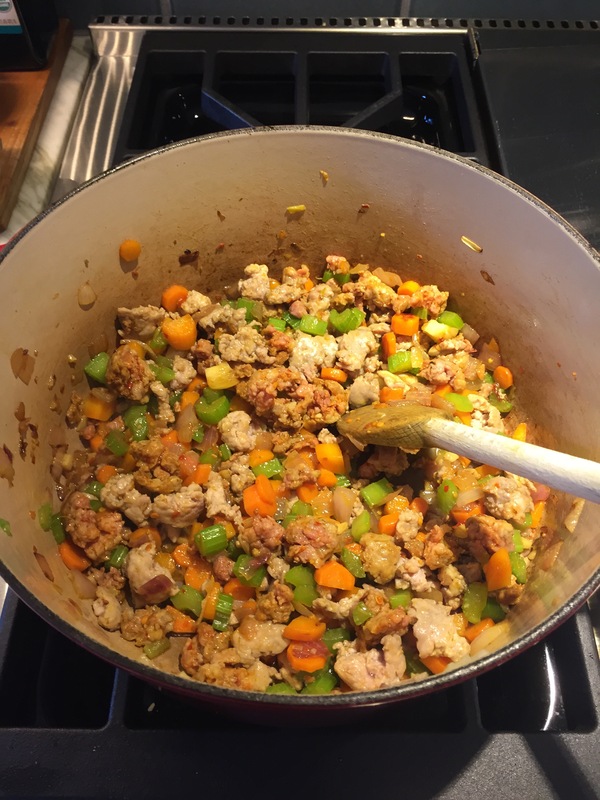 Practically speaking, it also helps the heat penetrate the center of the loaf as well as providing the guidelines to break the bread up beautifully when served. 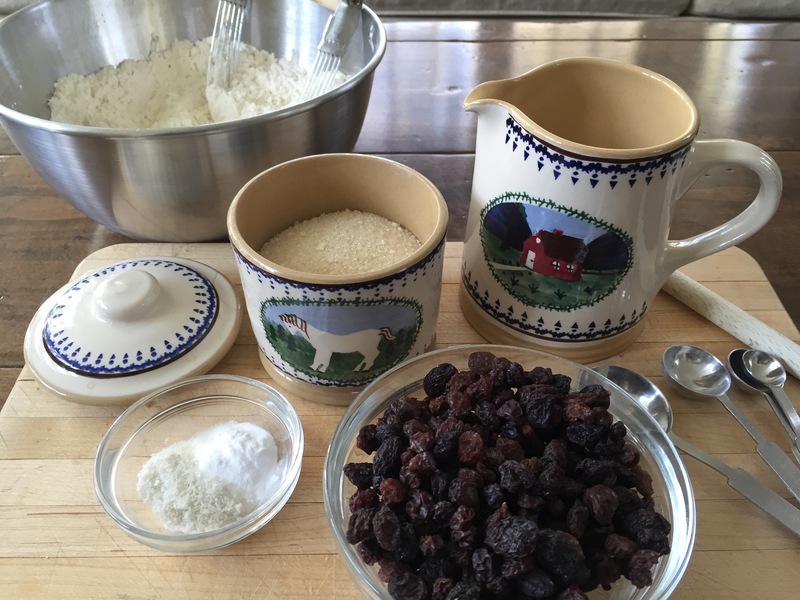 My mom recalls my grandfather usually making plain soda bread, and only occasionally making a sweeter version with raisins. This makes sense as years ago the addition of sugar, dried fruits, or eggs would have been a treat and only done on special occasions. 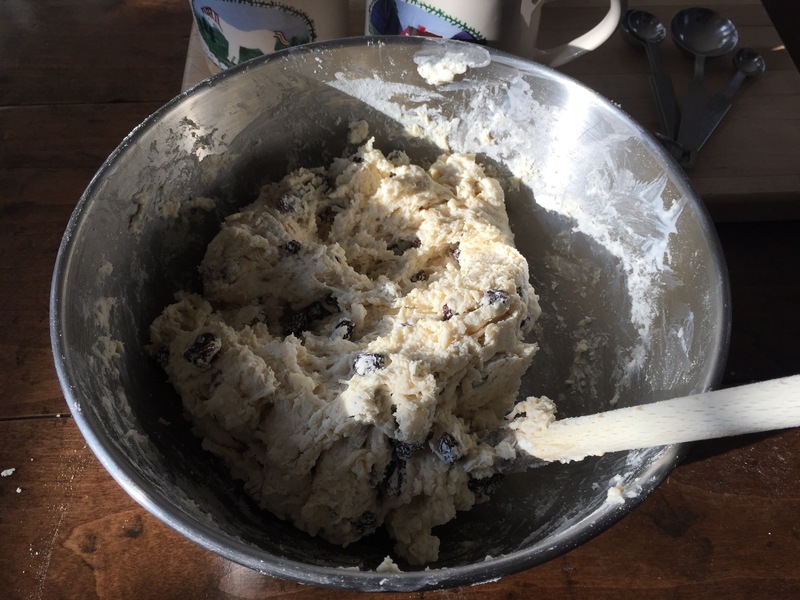 The recipe below is my version of my dad’s recipe, slightly sweet and full of raisins. This loaf is perfect for breakfast, snacking, in lunch boxes, and definitely with a cup of tea or two. 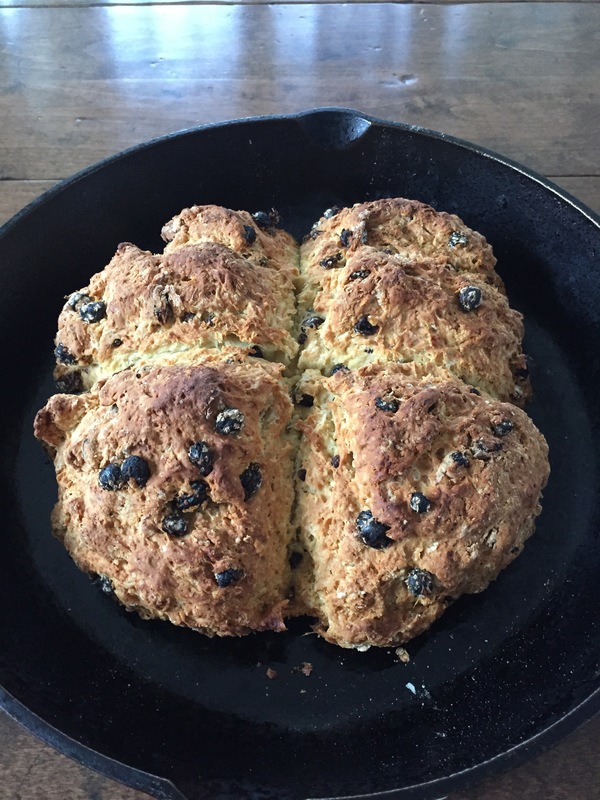 I do make other soda breads, a hearty Brown Soda Bread (made with whole wheat flour) and plain White Soda Bread that is unsweetened and wonderful with soups and stews- or fried eggs and bacon. 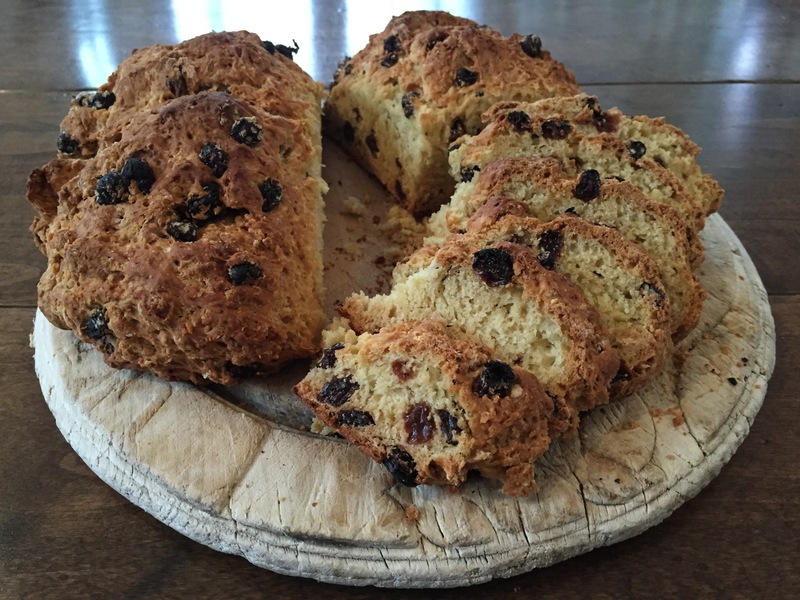 Those recipes will show up here, but first I’d like to introduce this lovely raisin studded Irish Soda Bread. In a large bowl use a pastry blender to cut butter into flour. Using a wooden spoon, stir in sugar, salt, and baking soda. 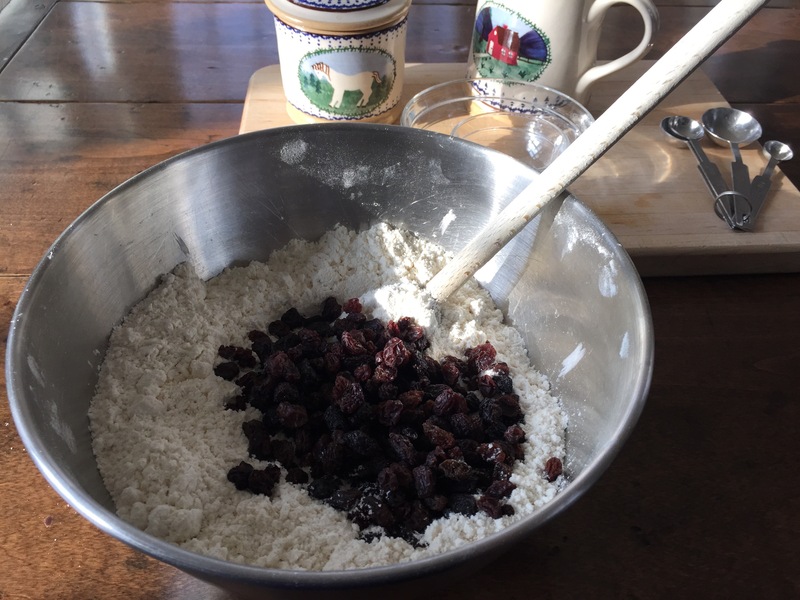 Add the raisins or currants and mix well. 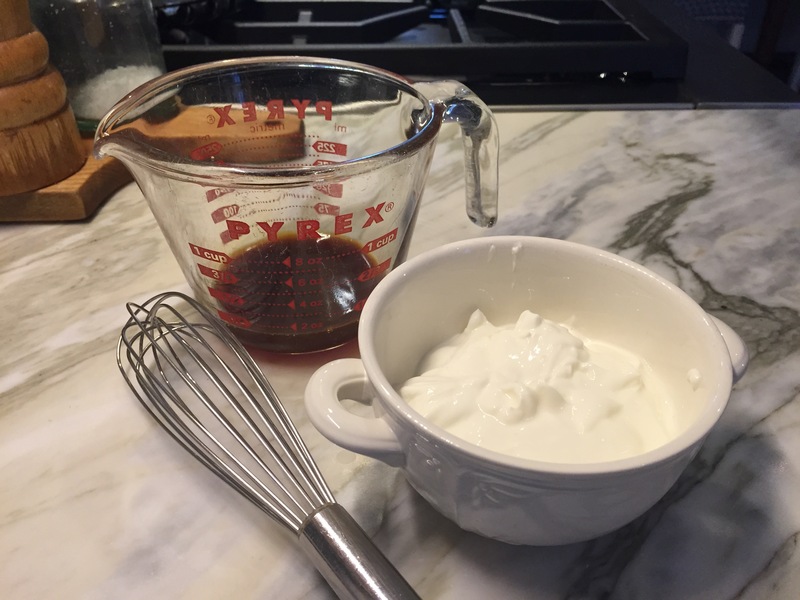 Pour in 1¼ cups buttermilk and mix, adding more milk if necessary. The dough should be soft, slightly sticky, but not too wet. Turn dough out onto a floured surface and knead it just enough to completely bring it together. Shape into a round about 1½ -inches deep. 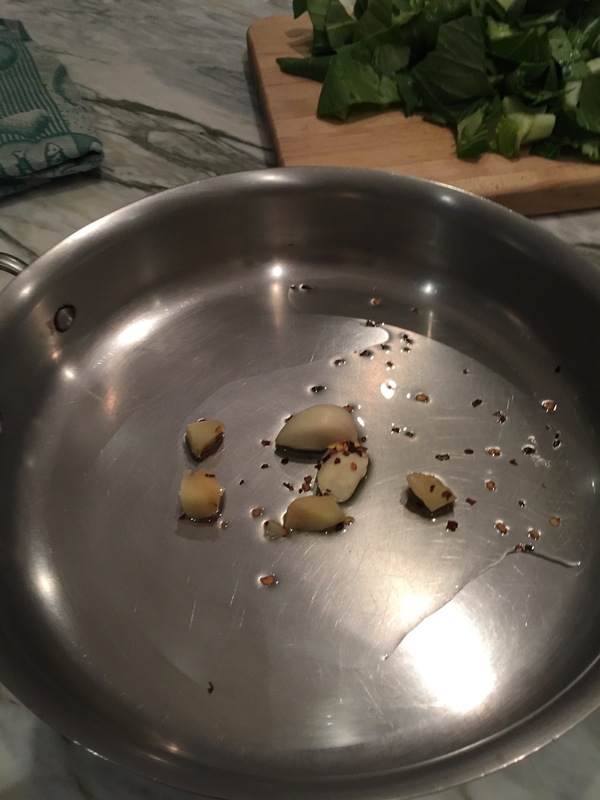 Transfer to cast iron skillet or lined baking sheet. Using a sharp knife or bench scraper cut a cross on it, deep- but not completely through. Bake for 15 minutes, then turn the oven down to 400°F and continue baking for an additional 30 minutes. The bread is done when it is golden brown and sounds hollow when tapped on the bottom. 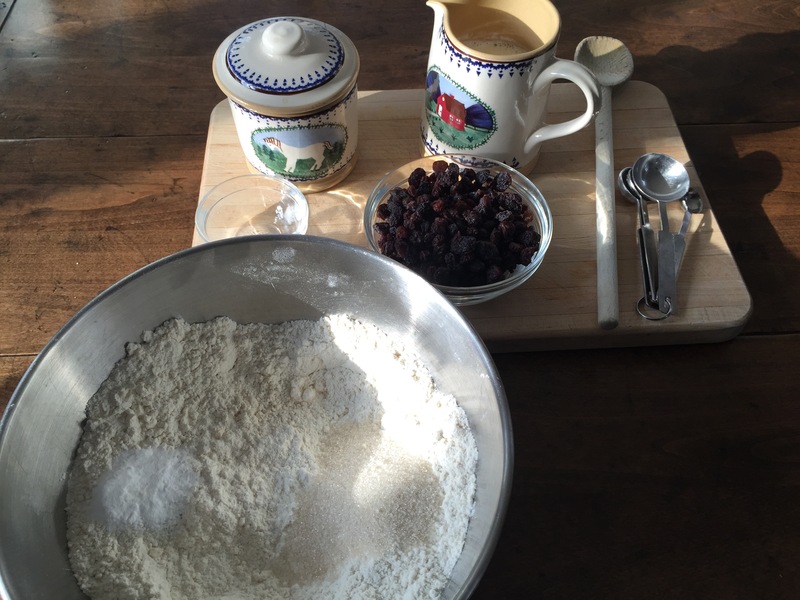 This is all you need for Irish Soda Bread: flour, unsalted butter, sugar, salt, baking soda, raisins, and buttermilk. 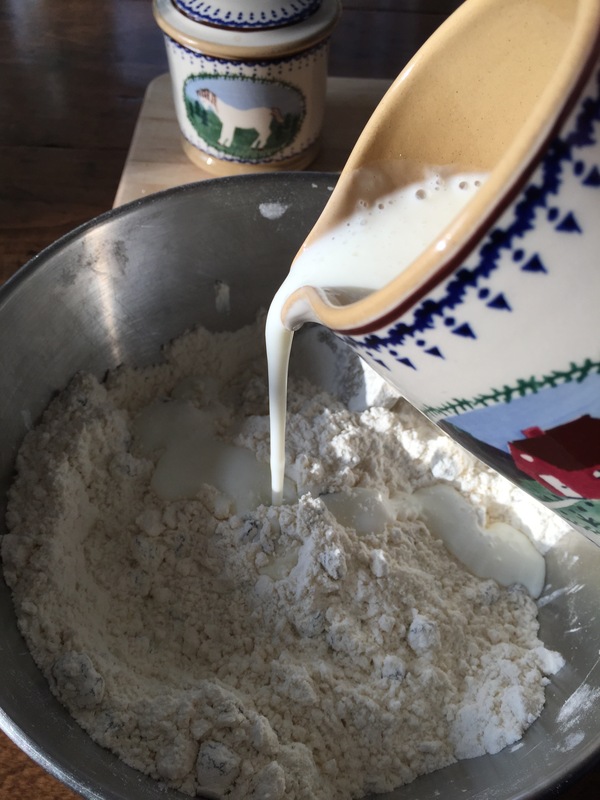 Using a pastry blender, cut butter into flour. Add sugar, salt, and baking soda to flour/butter mixture. Still well to combine. Pour buttermilk into dry ingredients and mix well. The flour mixture is coming together to form a soft, but not too sticky dough. The dough is soft, not too sticky or wet. Turn out the dough onto a lightly floured surface. Knead it just enough to clean it up and bring it together- no more than a few seconds. The lightly kneaded dough is patted into a round about 1 1/2-inches deep. 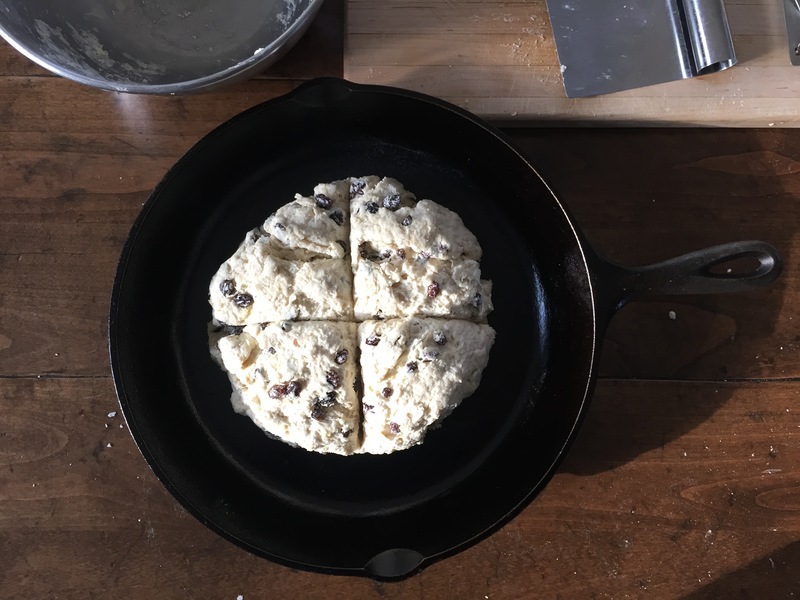 Transfer dough to a cast iron skillet or sheet pan. Using a sharp knife or bench scraper, cut a deep cross into the dough- almost completely through, but not all the way. 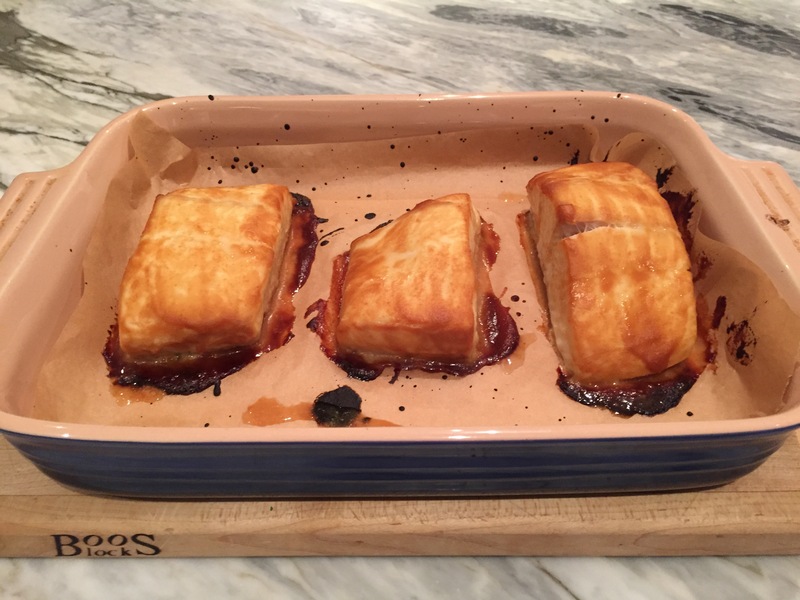 Bake in a 450°F oven for 15 minutes, then lower temperature to 400°F and bake for another 30 minutes. Out of the oven! The bread is done when golden brown and the bottom sounds hollow when rapped with your knuckles. 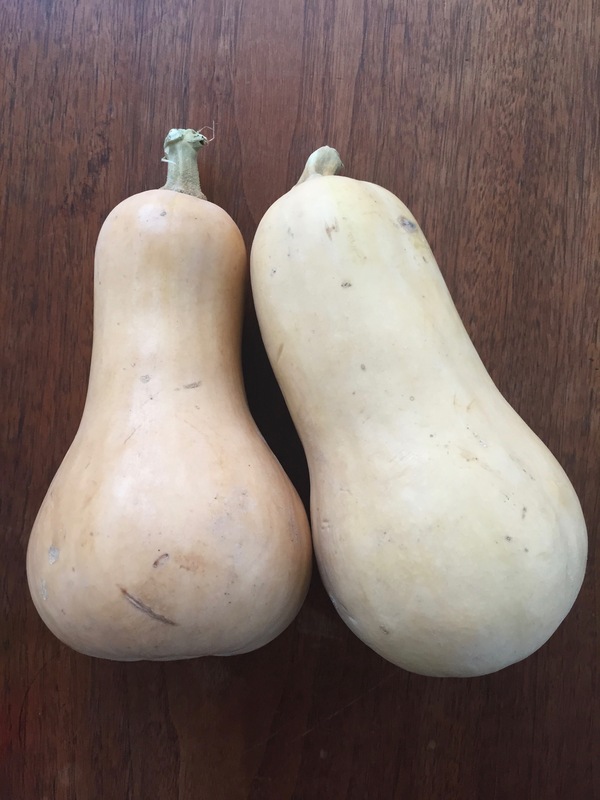 Butternut squash has a long shelf life- which works well for me when I receive large quantities of it as part of my CSA! As you can imagine the growing season in New England is short, though our local farm does an amazing job of squeezing every last bit of sunshine and warmth out of earth and sky to make the harvest last as long as possible. 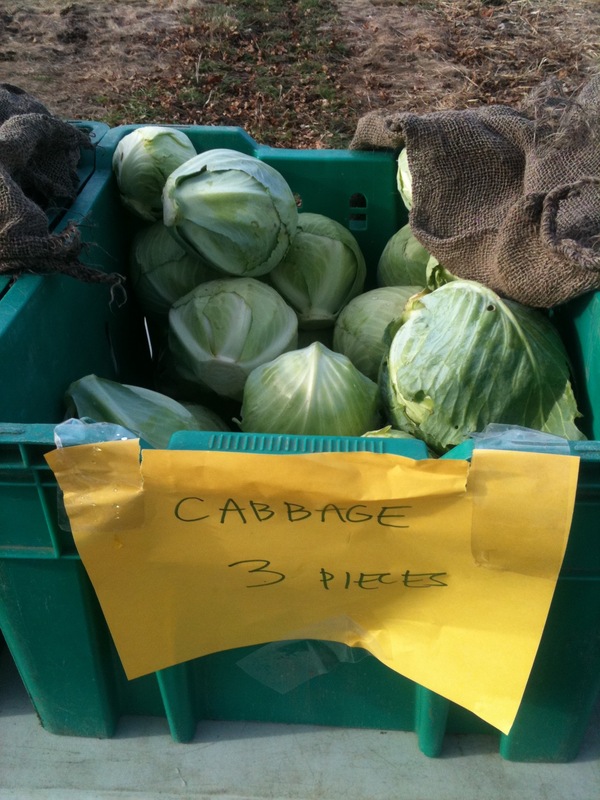 In fact, they do such a good job, that the farm offers an “Extended Harvest” share, with pick ups well into November. 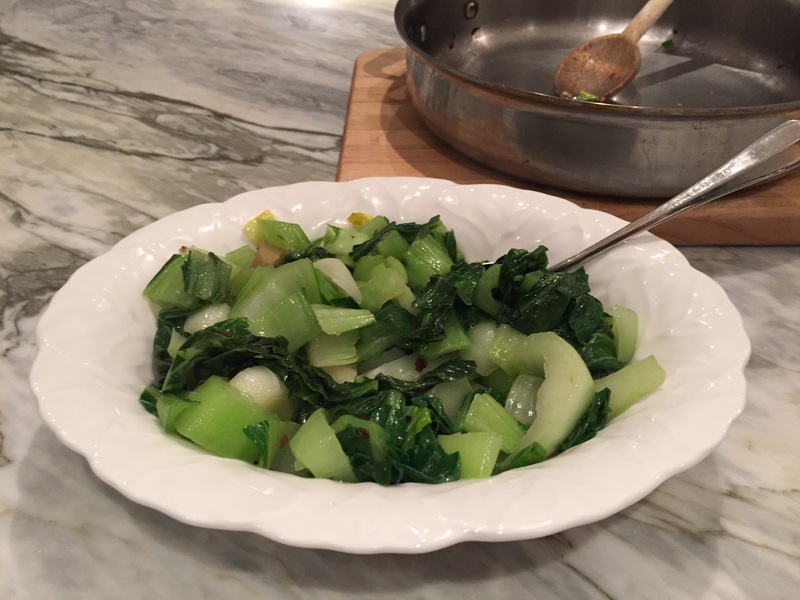 Each week from June through November I am the happy recipient of culinary treasures… fruits and veggies of all sorts. The spring and summer pick ups generally contain perishable produce that has to be dealt with immediately… eaten, frozen, or canned for future meals. 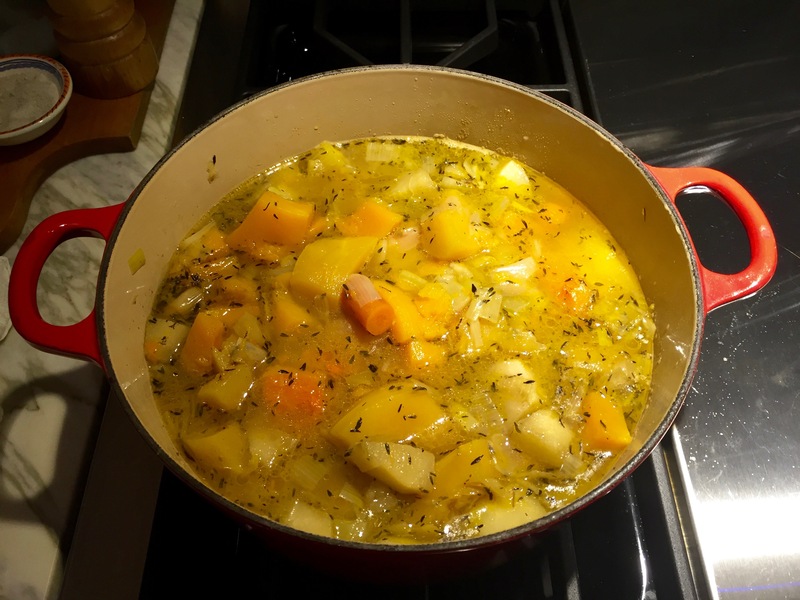 The November shares are far more forgiving in terms of shelf life; onions, garlic, potatoes, and winter squash can live on my kitchen counter or in a cool spot in the basement for a long while before I turn my attention to them. Cabbages, radishes, and carrots will survive almost the entire winter in the produce drawers of my fridge. 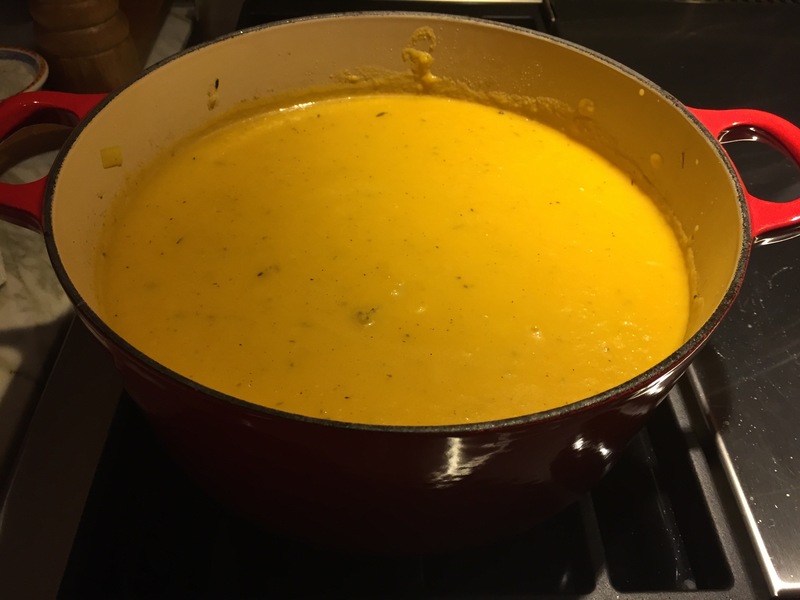 Below is my take on Butternut Squash Soup with Cider Cream. 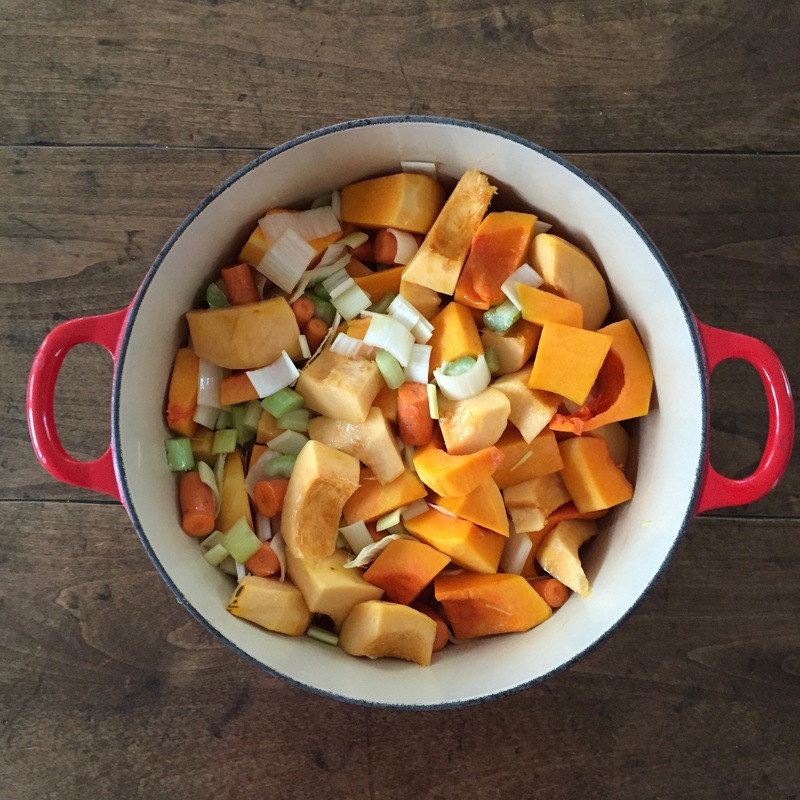 The tart apples are beautiful with the rich nutty squash, while the cider’s sweetness rounds everything out. 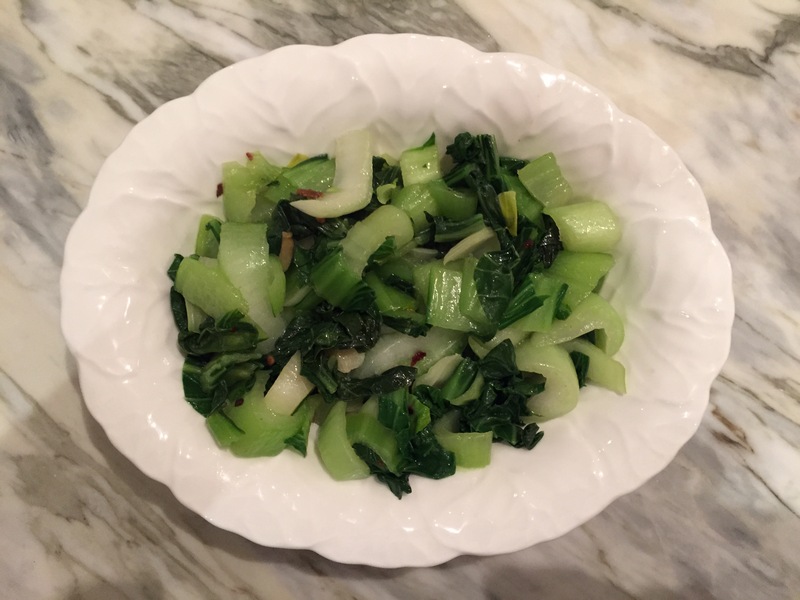 I usually use chicken stock, but vegetable stock will work equally well if you’d like to keep this strictly vegetarian. 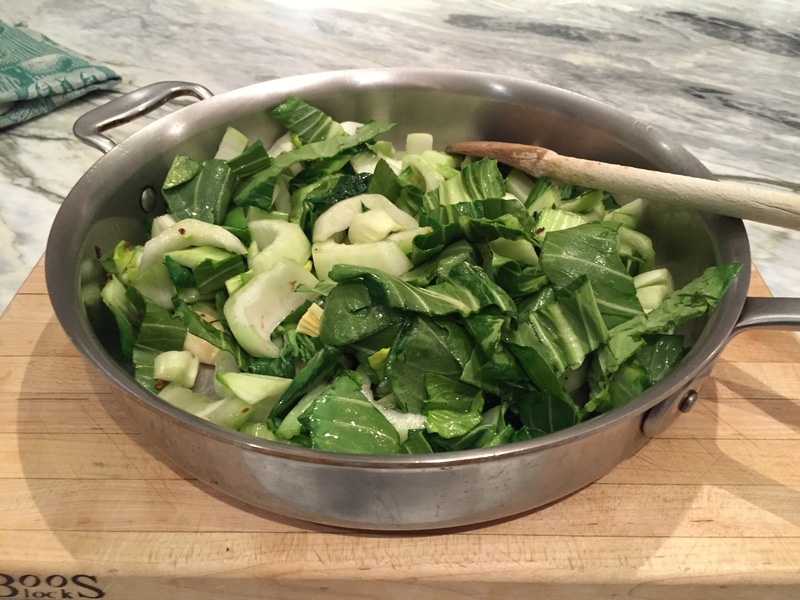 Do you have a favorite winter vegetable that you like to use? What do you with it? 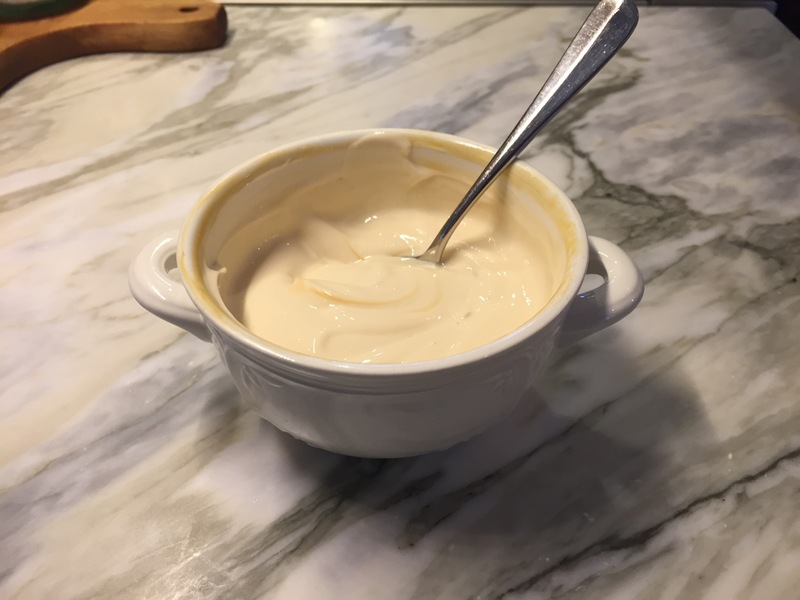 Melt butter in a heavy large saucepan over medium high heat. 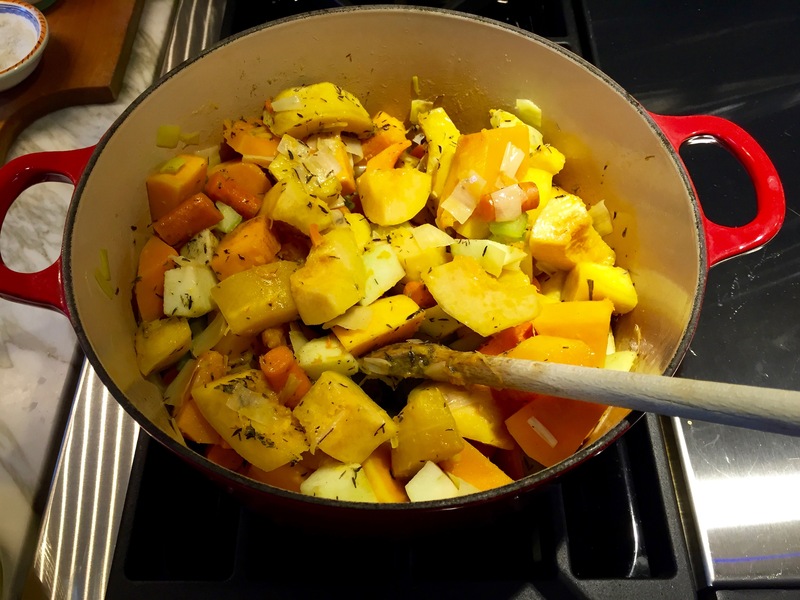 Add squash, leeks, carrots, and celery; sauté until slightly softened, about 15 minutes. Mix in apples, thyme, and sage. 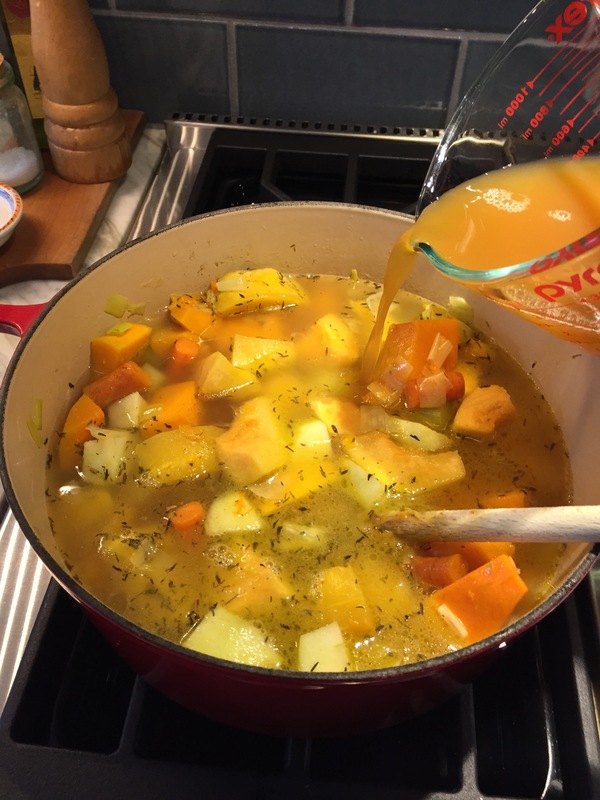 Add stock and 1 cup cider. Bring to a boil; reduce heat to medium low. Cover and simmer until apples are tender, stirring occasionally, about 30 minutes. Cool slightly. Using an immersion blender, puree soup. Alternatively, soup can be pureed, in batches, in a blender. 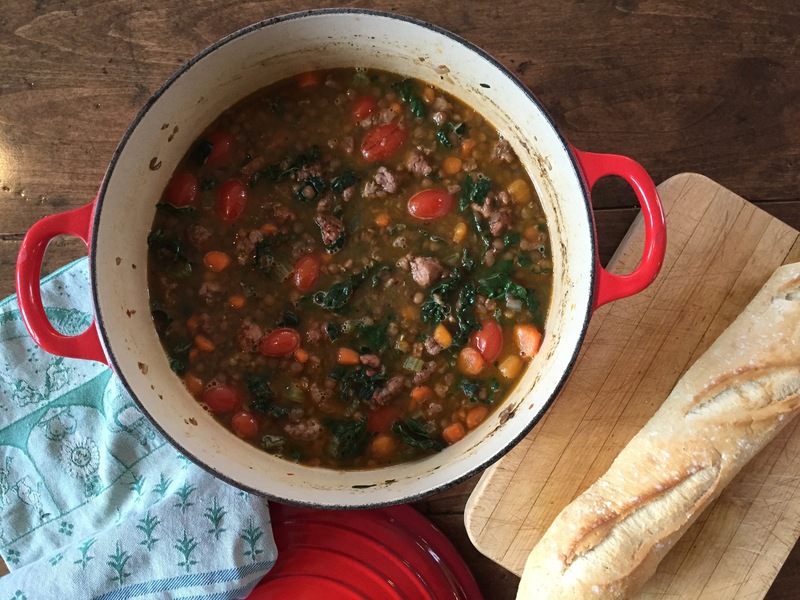 Bring soup to simmer. 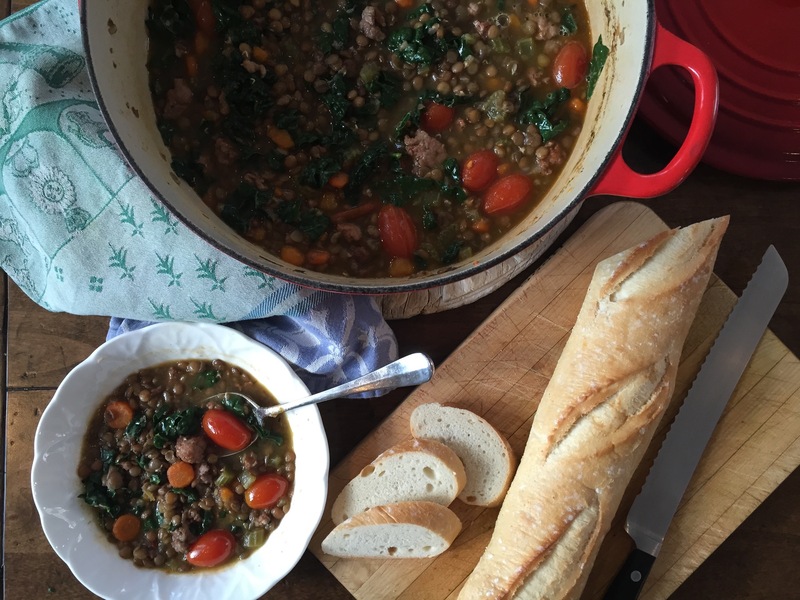 Ladle soup into bowls. 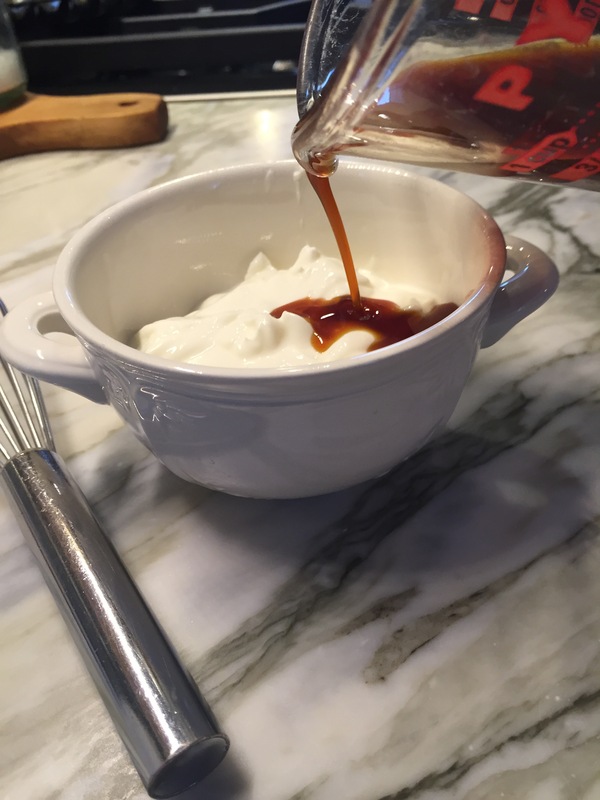 Dollop with cider cream and serve. Melt butter in heavy large saucepan. 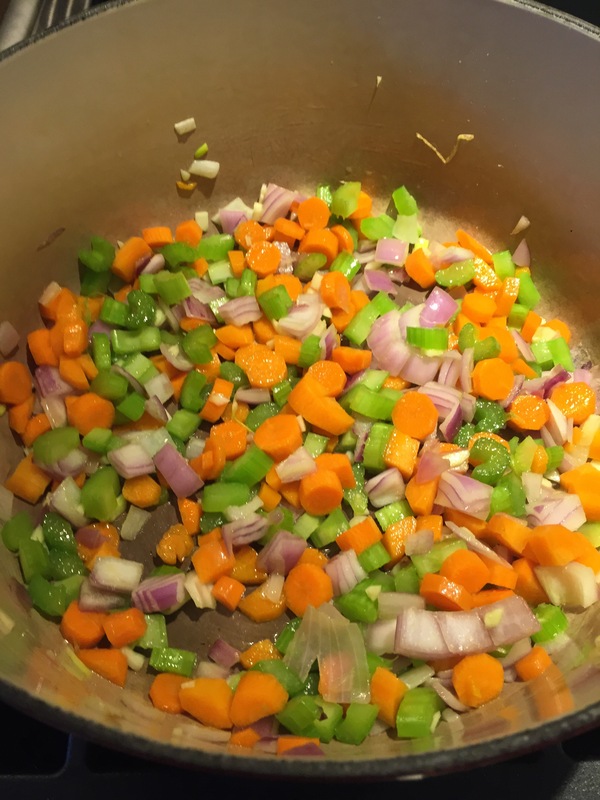 Add squash, leeks, carrot, and celery. 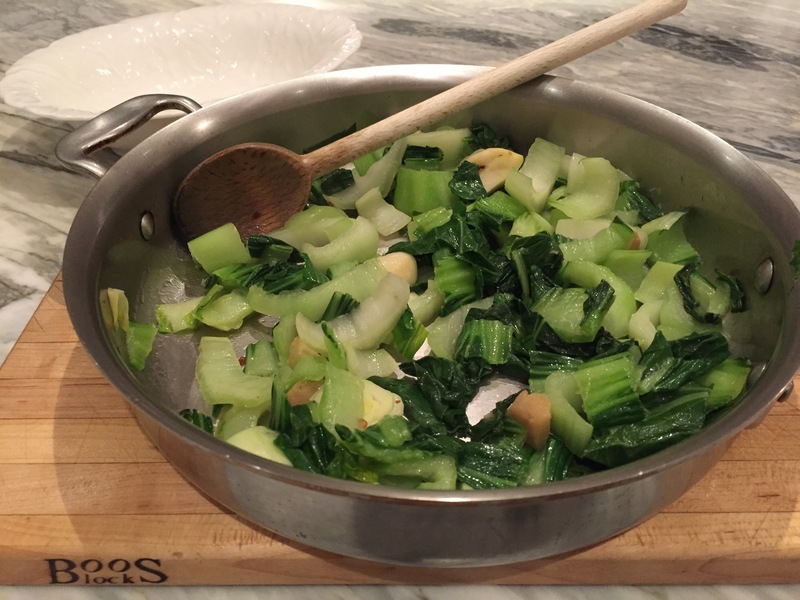 Sauté until veggies are softened, 15 minutes or so, then add apples, thyme, and sage. 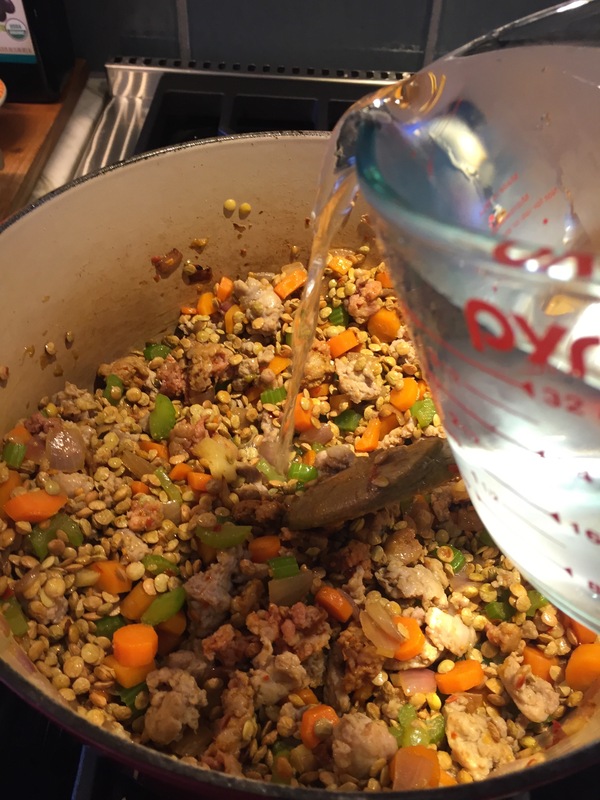 Add stock and 1 cup of cider. Bring to a boil. 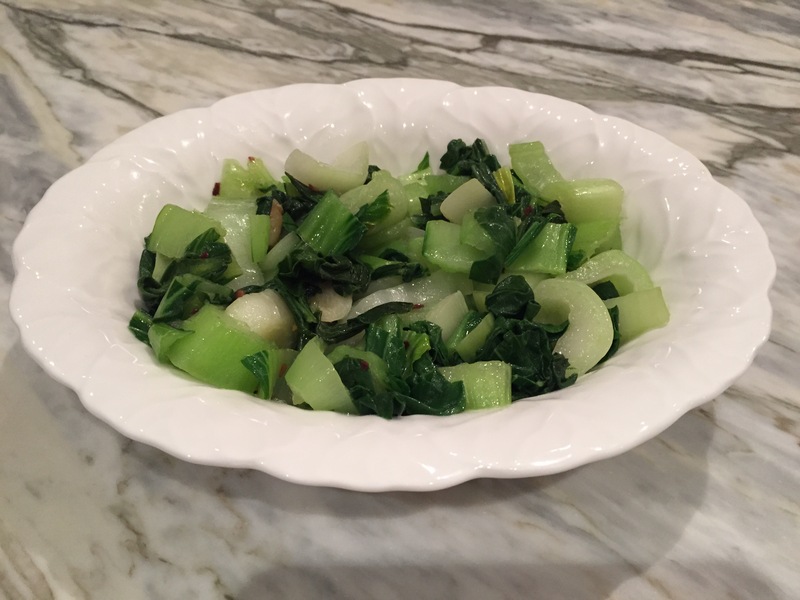 Reduce heat to medium-low, cover and simmer for 30 minutes or until apples are tender. 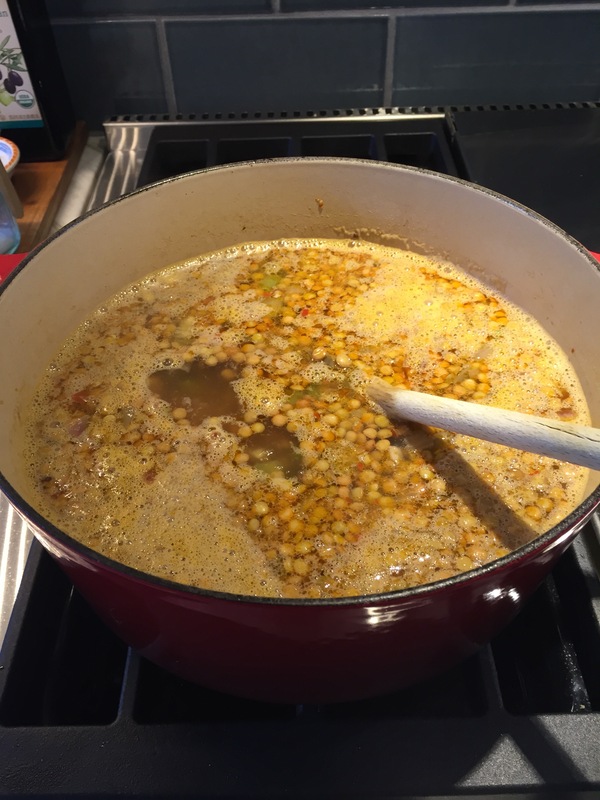 Through the magic of the blogosphere, the soup has been pureed. 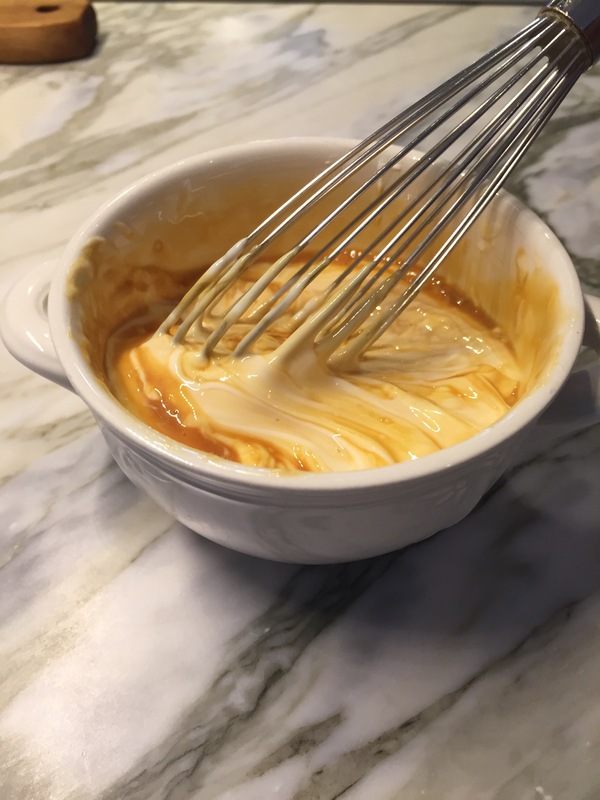 Actually, I used an immersion blender, but couldn’t get an action pick- not enough hands! 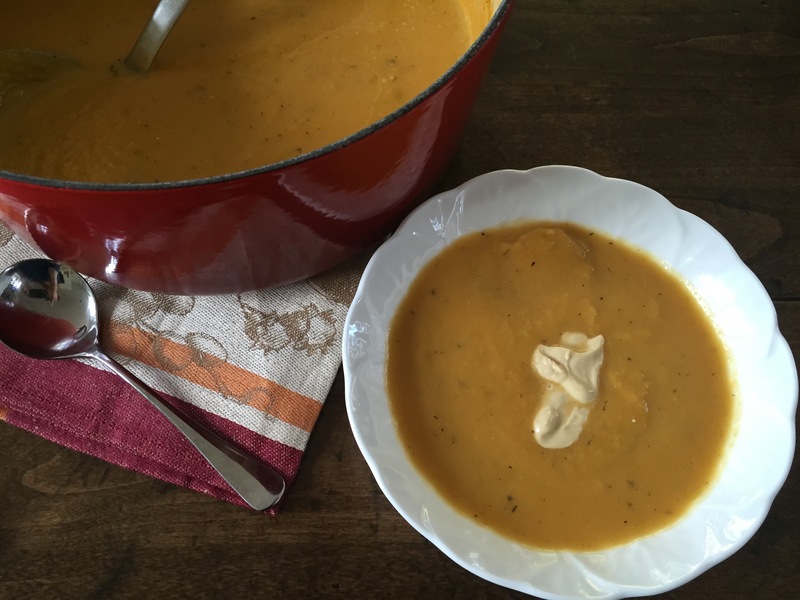 If you don’t have an immersion blender, puree the soup in batches in a regular blender. Boil remaining 1/2 cup cider until reduced to 1/4 cup, about 5 minutes. 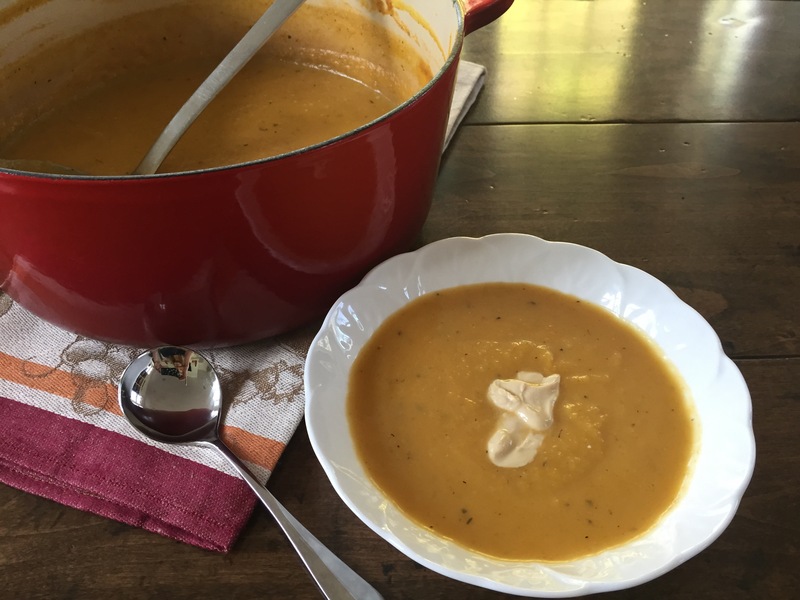 Bring soup to a simmer, laden into bowls and dollop with cider cream. We are all so busy nowadays and quickly grabbing something from the store is an efficient and easy way to tick the boxes off your gift giving to do list; you’ll get no argument from me! But that’s what makes homemade gifts so special, taking the time to make something from scratch and presenting it to someone who also has a lot on their plate (no pun intended!). Think about teachers, neighbors, friends, hostesses, as well as those who help keep our worlds moving smoothly, like school bus drivers and postmen. Those people (and their families) will appreciate the time spent creating thoughtful gifts for them. Christmas is naturally a wonderful season to share homemade presents with those around us. But these gifts work well all year round, anytime you would like to say “thank you” or just brighten someone’s day. My passion lies in the kitchen, so baking gifts is where I turn. 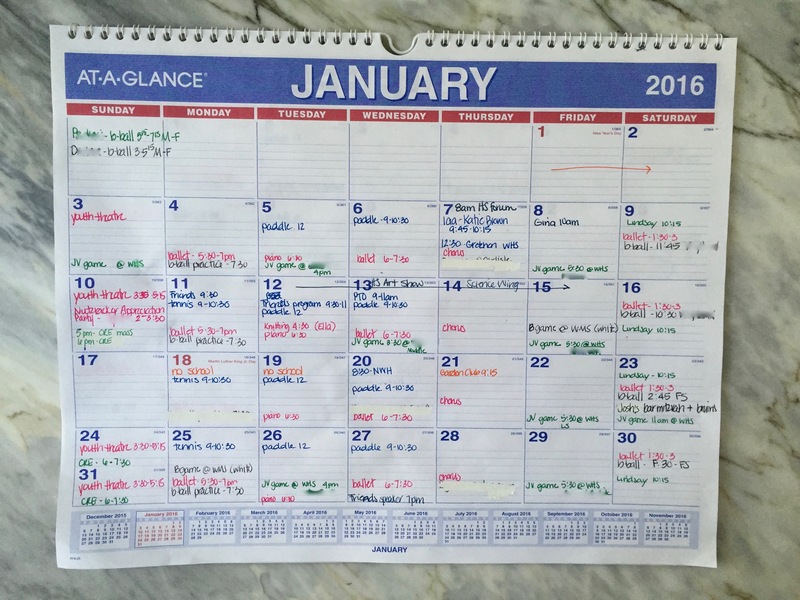 Your strength may lie in photography, flower arranging, knitting, crafting, gardening, etc. If you’re able to, please consider sharing your talents! 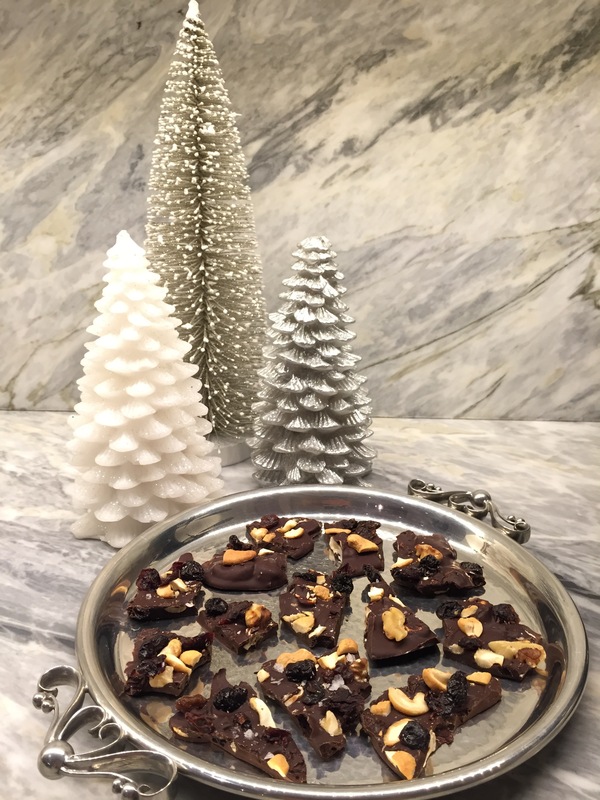 Below are some of my favorite homemade gifts to give… nothing exotic, over the top, or containing hard to find ingredients. But, they are all heartfelt and give me great joy to share. My grandparents grew up in Ireland and for as long as I can remember my grandmother’s preferred chocolate was Cadbury’s. Among all the Cadbury choices, the Fruit and Nut bar was her favorite. However, it wasn’t always easy to get Cadbury chocolates in the US so she had to find an alternative to satisfy her sweet tooth. Success was achieved when Nanny discovered the Chunky Bar. Do you remember Chunky Bars? 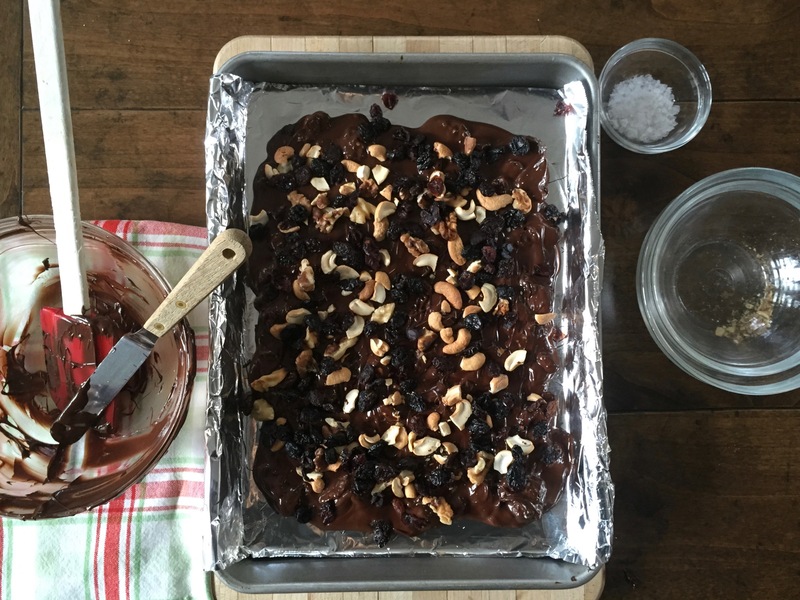 They were thick cubes of chocolate studded with nuts and raisins, all wrapped in silver foil. 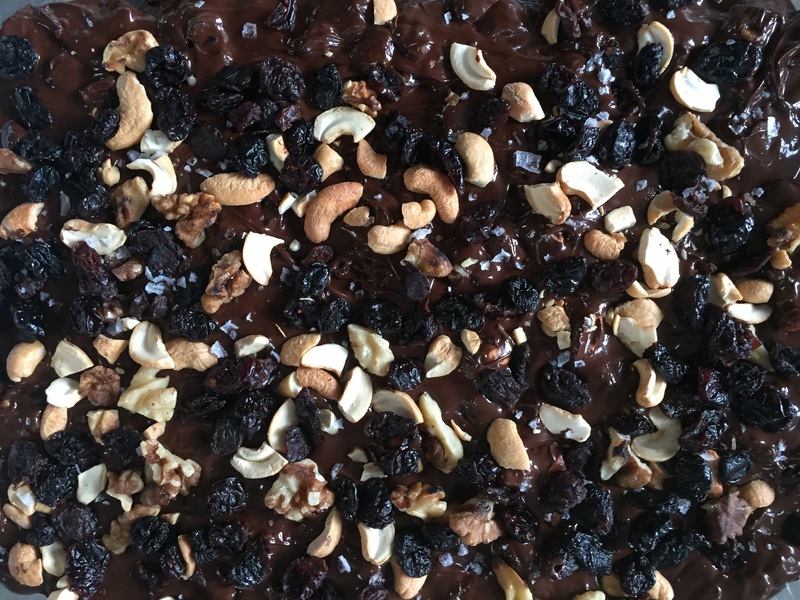 I’m not sure which came first… did the Fruit and Nut Bar or Chunky Bar inspire this bark, or did the taste memories come flooding back after the first bite? In either case, this treat would definitely meet Nanny’s approval. 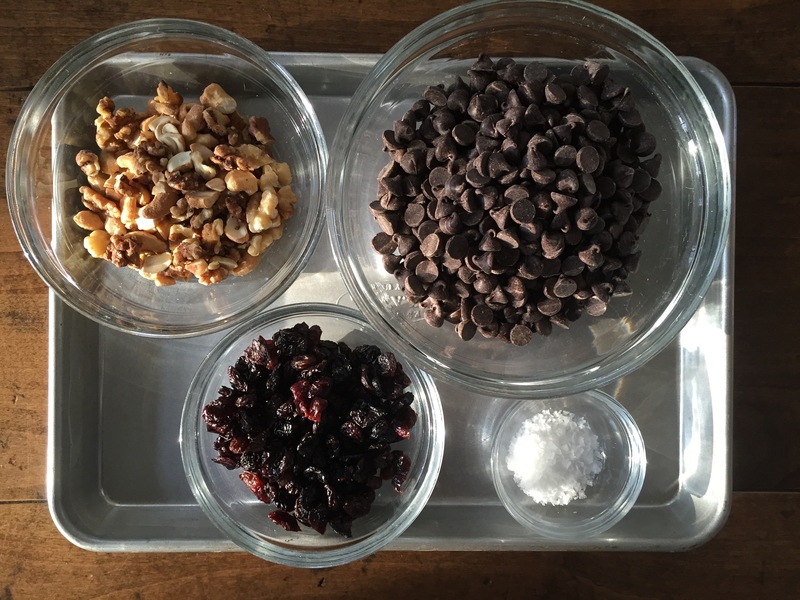 It’s the perfect blend of a fruit and nut studded candy bar and chocolate bark. 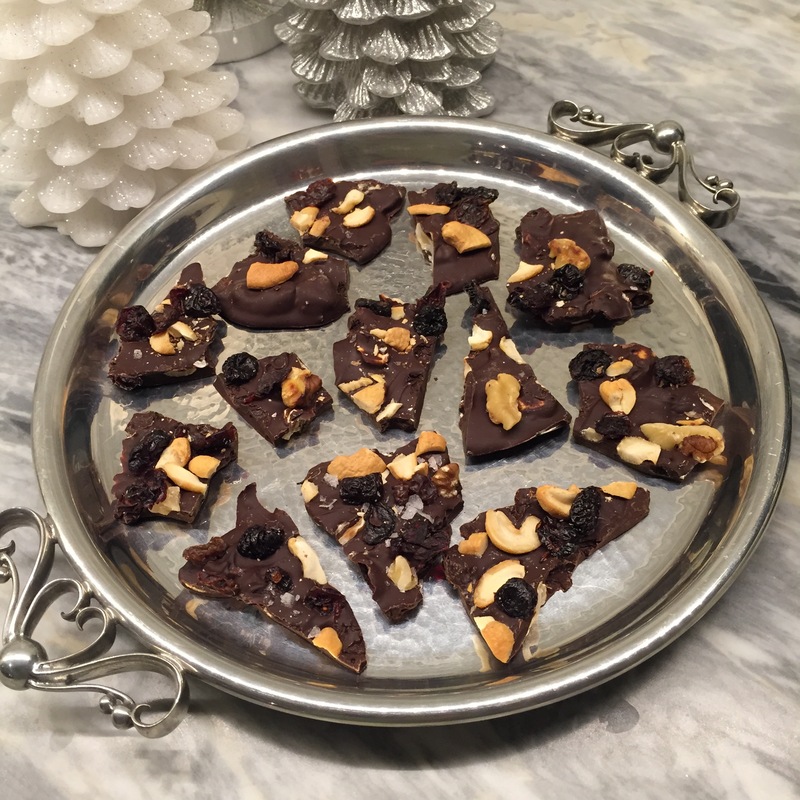 Like a candy bar, the sweetness of the dried fruit, partnered with the crunch of the nuts, encased in dark chocolate is such a fantastic combination. Spread thin and topped with more dried fruit and toasted nuts brings it closer to a bark. Sprinkled with sea salt pushes it over the top. 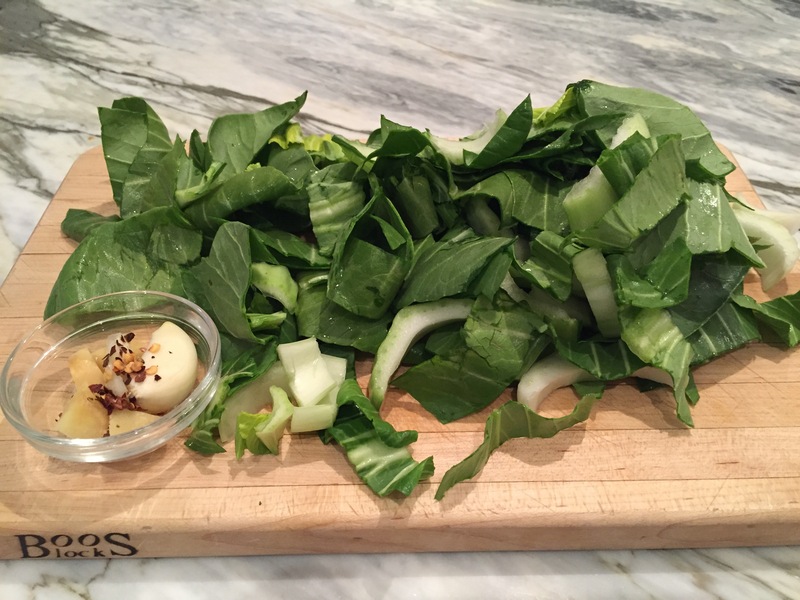 Excellent with a glass of red wine after dinner or a quick pick me up mid-day; another option is to leave out a small platter of the bark so that every time you walk by you grab a nibble. Not that I’ve ever done that. No judging here. Line small baking sheet with foil. 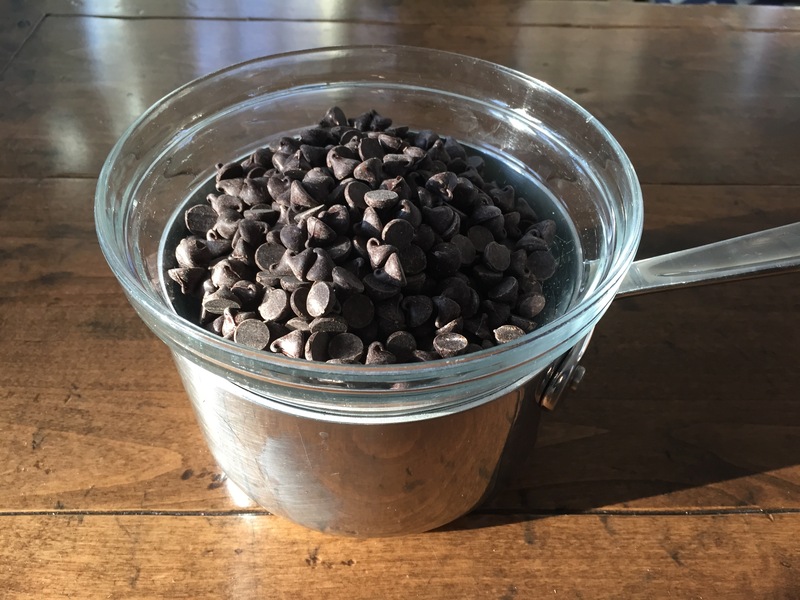 Melt chocolate in heatproof medium sized bowl set over saucepan of simmering water, stirring until melted and smooth. Stir in half of toasted nuts and half of mixed dried fruit. 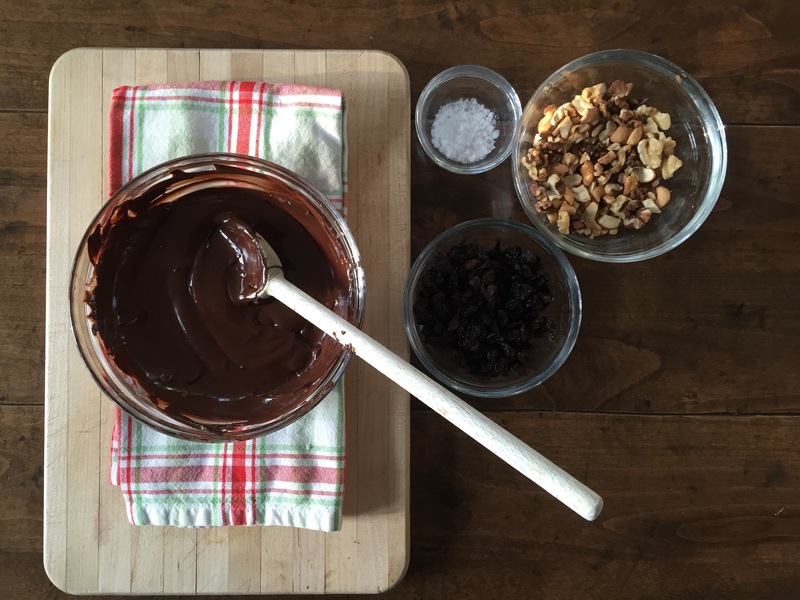 Pour melted chocolate mixture onto foil, spreading with offset spatula to thickness of scant 1/4 inch. 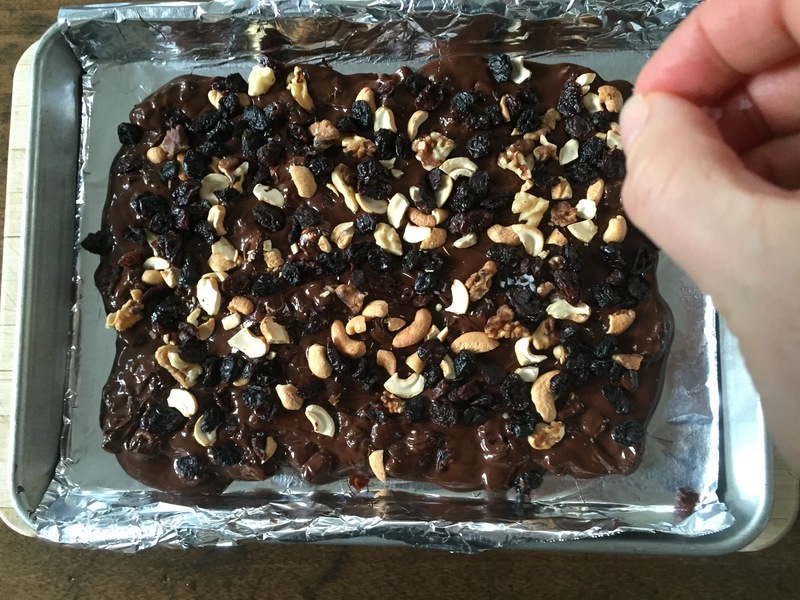 Scatter remaining nuts and dried fruit over chocolate. Cool slightly. Sprinkle with flaked sea salt. Chill until chocolate is firm, about 30 minutes. Peel off foil and cut bark into irregular pieces. 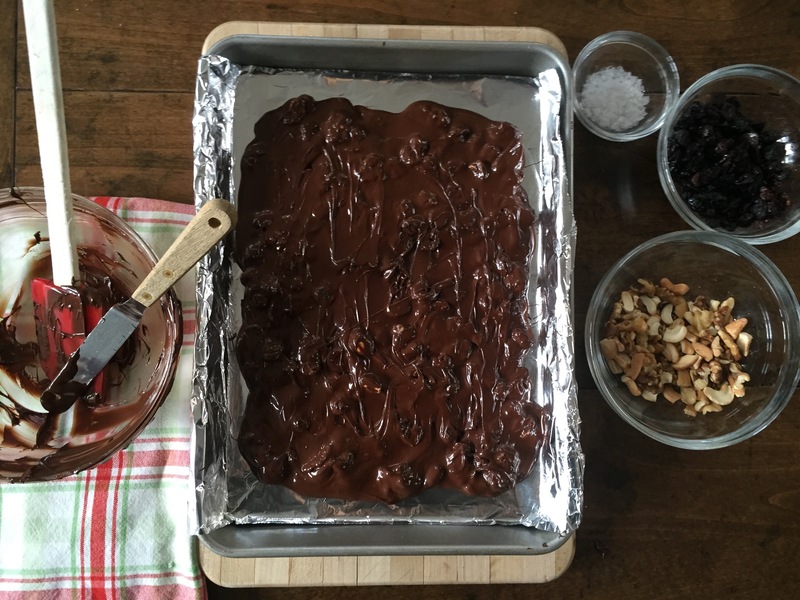 Four ingredients and 15 minutes is all it takes to make chocolate bark. Stirring occasionally, melt the chocolate in a heat proof bowl set over simmering water. The chocolate is melted and ready for the toasted nuts and dried fruit. Stir in half of the toasted nuts and dried fruit. 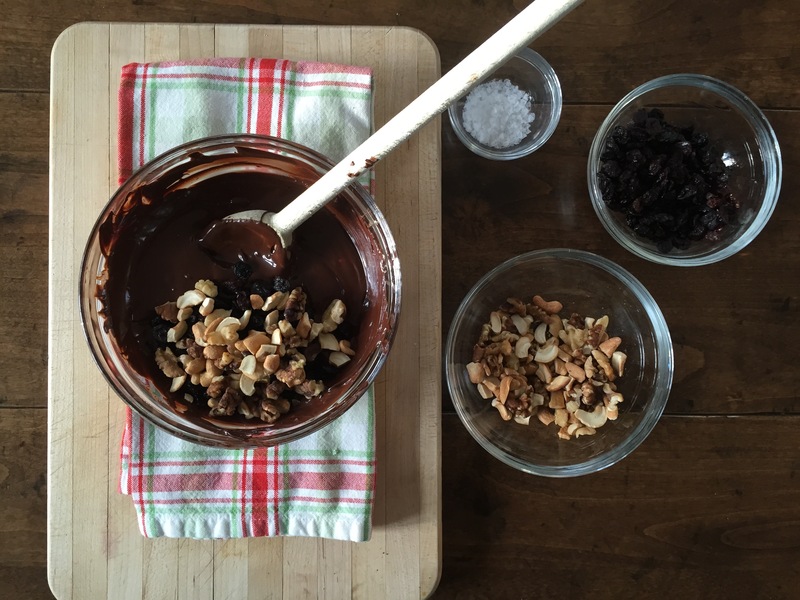 Using an offset spatula, spread the melted chocolate mixture onto a foil line baking sheet. The chocolate should be about 1/4″ thick. 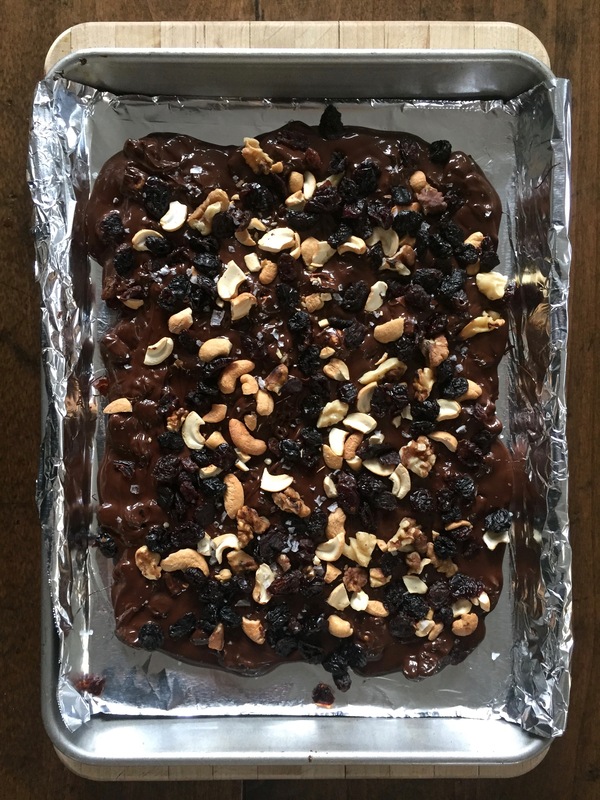 While chocolate is still melted, top chocolate bark with remaining toasted nuts and dried fruit. Press lightly to be sure nuts and fruits adhere. Sprinkle pinch of flaky sea salt on top of the chocolate bark. Chill, allowing chocolate bark to completely cool and harden, about 30 minutes. 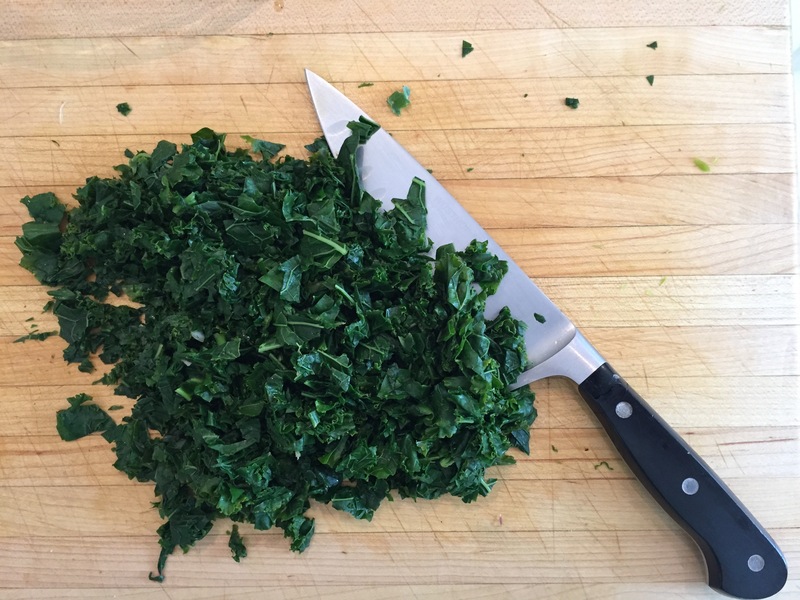 Break into irregular pieces before serving. Quick post today. 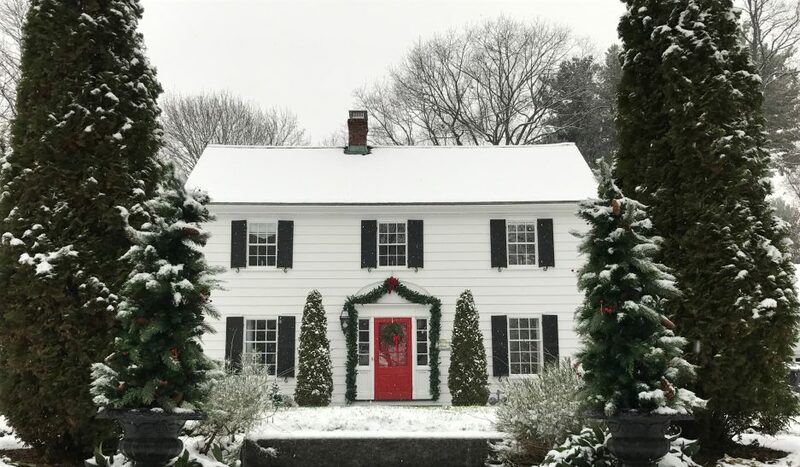 It’s a busy time of year for everybody… school concerts, Nutcracker performances, decorating the house and tree, sending cards, shopping for gifts, and events every weekend. It’s incredibly easy to become overwhelmed and miss the magic and beauty that is Christmas… the twinkling lights, carols being sung, and the warm spicy scent of pine. 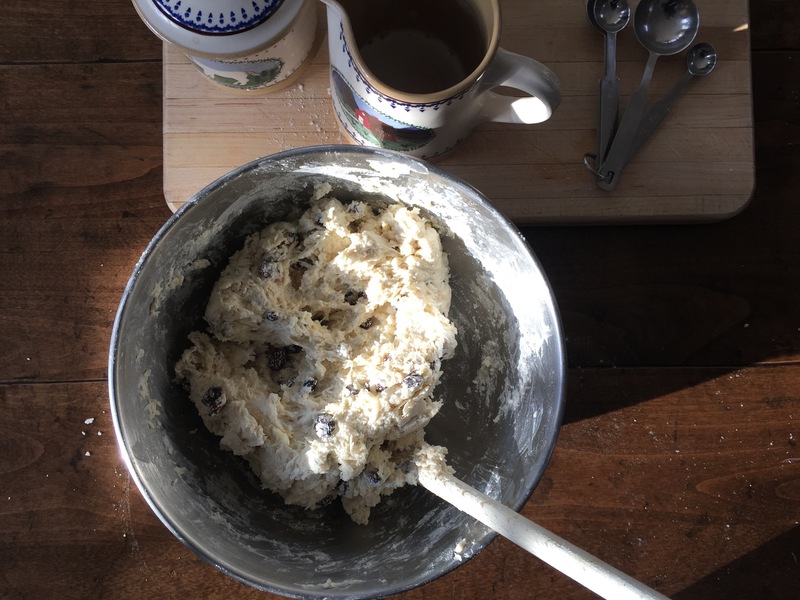 When I do feel like I’m becoming engulfed in the frenzy, I escape to the kitchen, put on some Christmas music and start baking… nothing elaborate though, believe me! You will not find homemade gingerbread houses or meticulously cut out and decorated cookies worthy of the front cover of a magazine. I’m more of drop or roll cookie maker (think gingersnaps or Mexican Wedding Cakes) and quick bread baker. Being in the kitchen is like therapy for me, and if I tried to make photo shoot worthy decorated Christmas cookies, I would royal ice and silver dragee my way straight into real therapy! This Cranberry Nut Bread is quick, coming together in about 15 minutes, then off to the oven for an hour. Golden brown crust, slightly tart, and studded with cranberry jewels and sweet pecans, the bread is perfect for breakfast, late afternoon snack, or even dessert. It’s also ideal to share with family and friends over a cup of tea, enjoying each other’s company and the season for even just a quiet moment or two. In a large bowl, stir together flour, sugar, baking powder, salt, and baking soda. 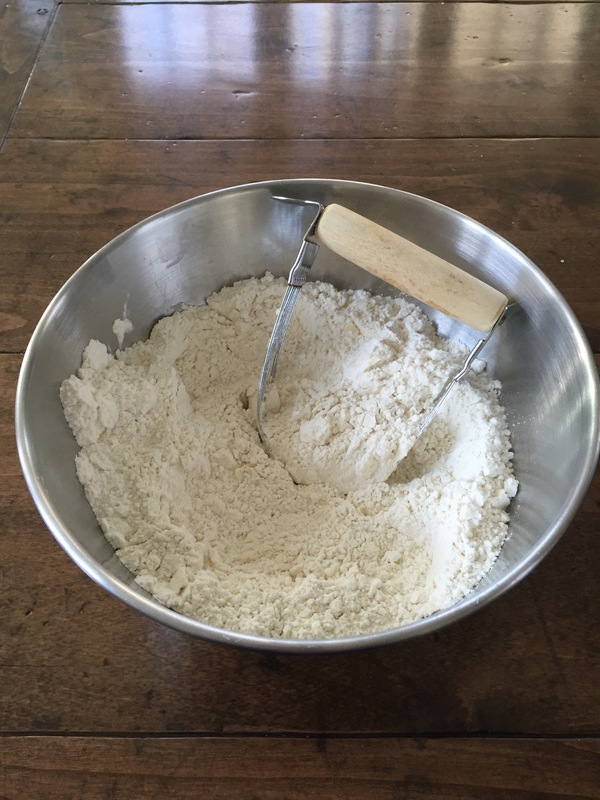 Cut butter into flour with a pastry blender. Stir in orange juice, lightly beat egg, and zest. Fold in cranberries and nuts. 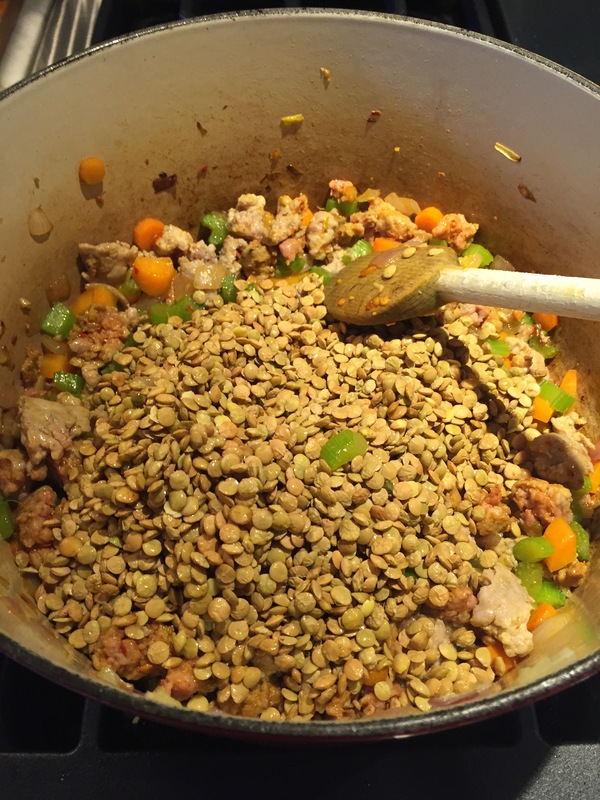 Scrape into prepared loaf pan. Bake for 50-60 minutes, or until a cake tester inserted into the center comes out clean. 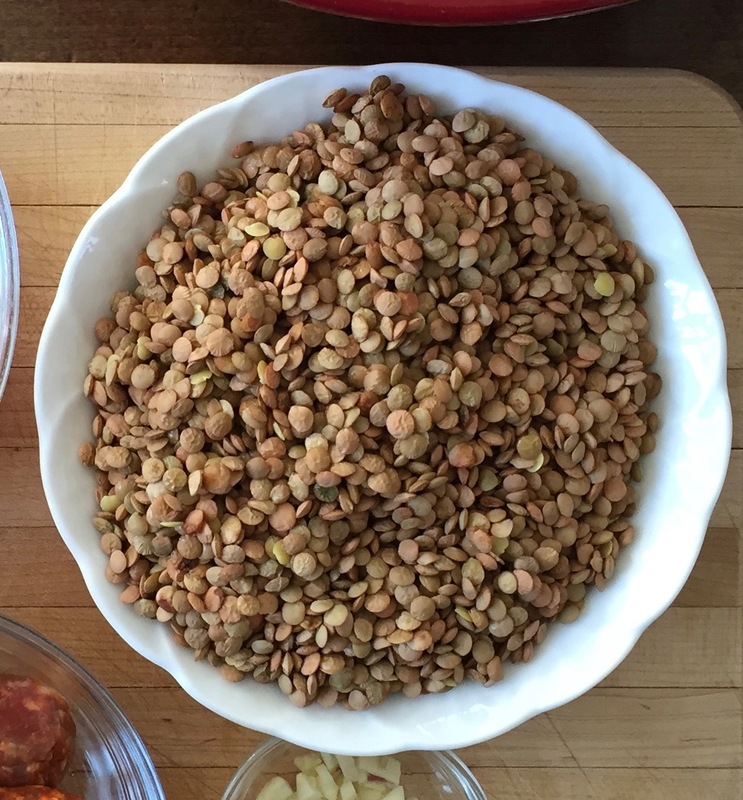 Chop the cranberries by hand or in a food processor. Zest the orange so that you have 1 Tablespoon set aside, then juice the oranges to yield 3/4 of a cup. I need three navel oranges to get the right amount of juice. Add juice, lightly beaten egg and zest to dry ingredients and mix. 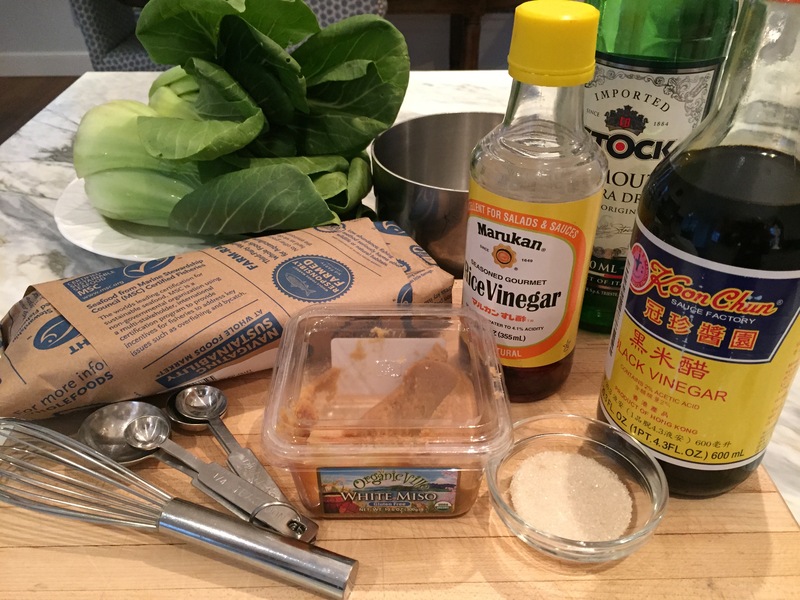 Using a wooden spoon, combine the wet and dry ingredients. 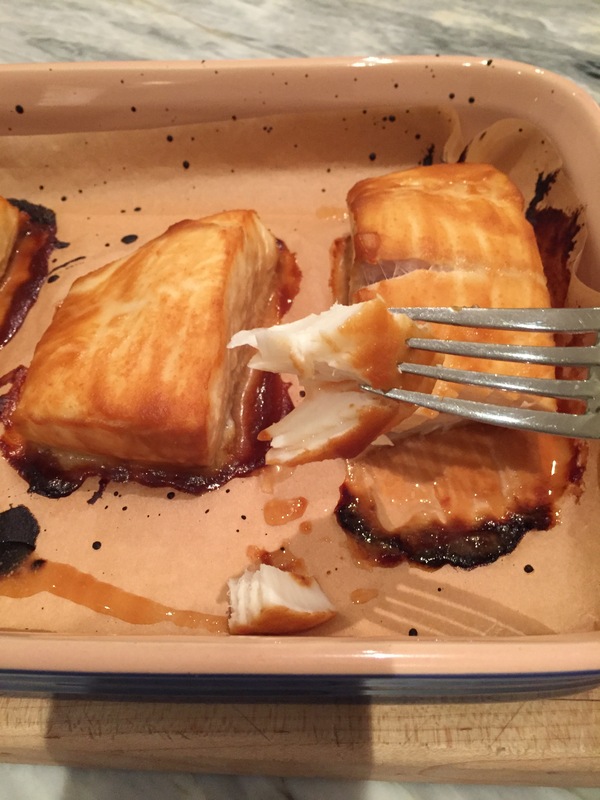 Scrape the batter into a greased loaf pan and bake at 350°F for 50-60 minutes. Bake until a cake tester- or bamboo skewer in this case- inserted in the center comes out clean.